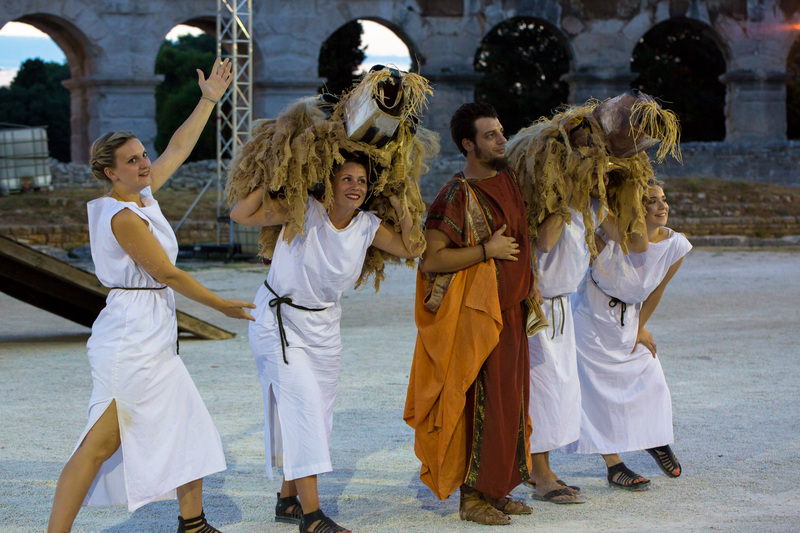 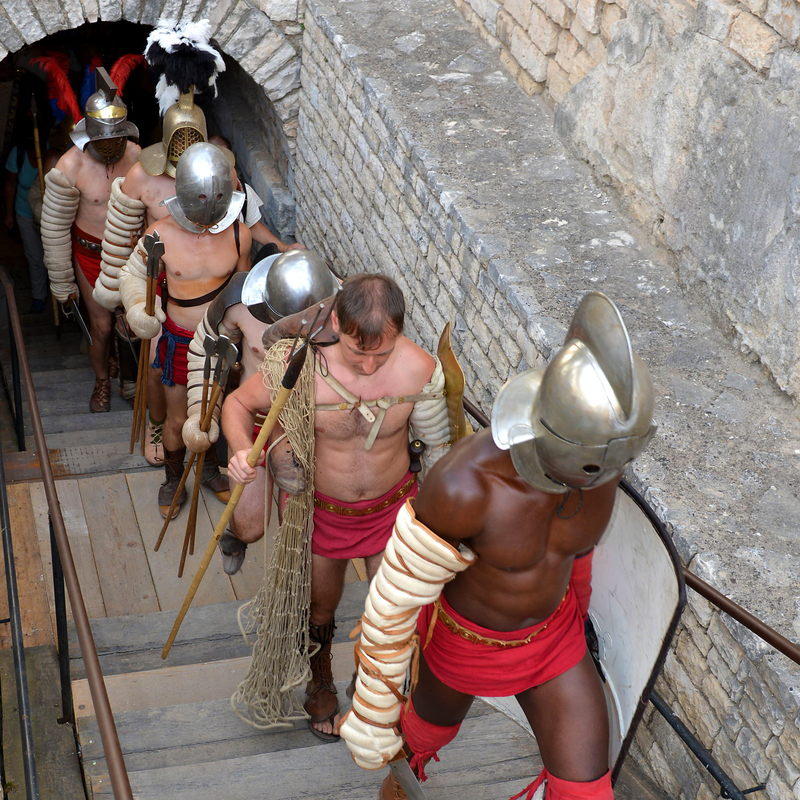 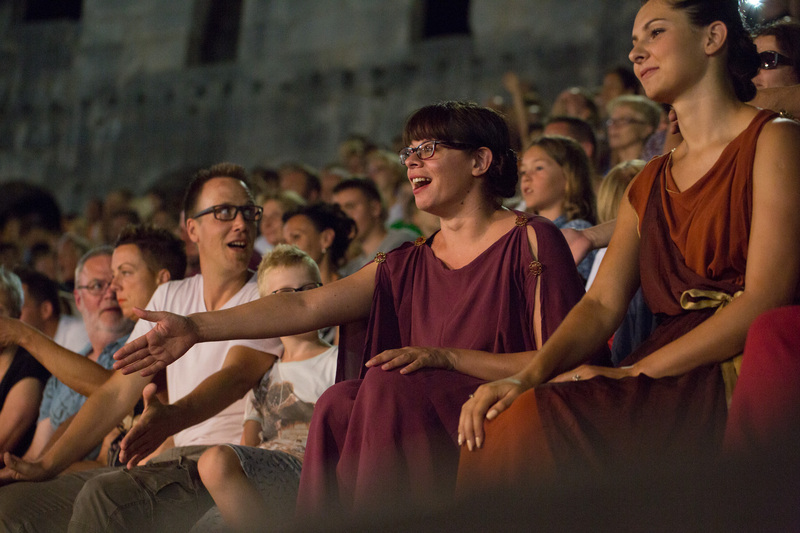 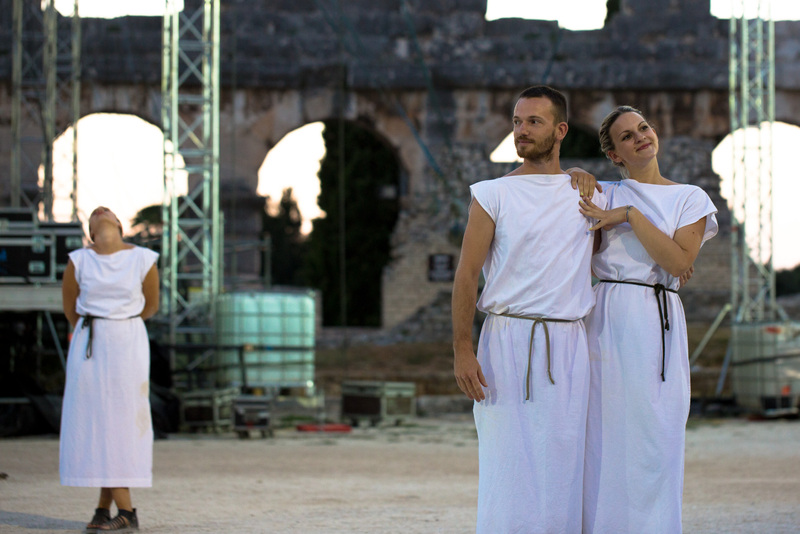 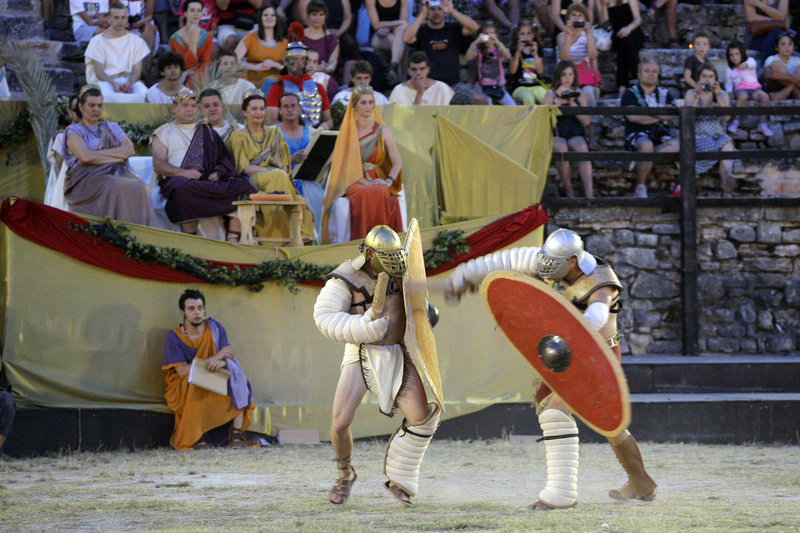 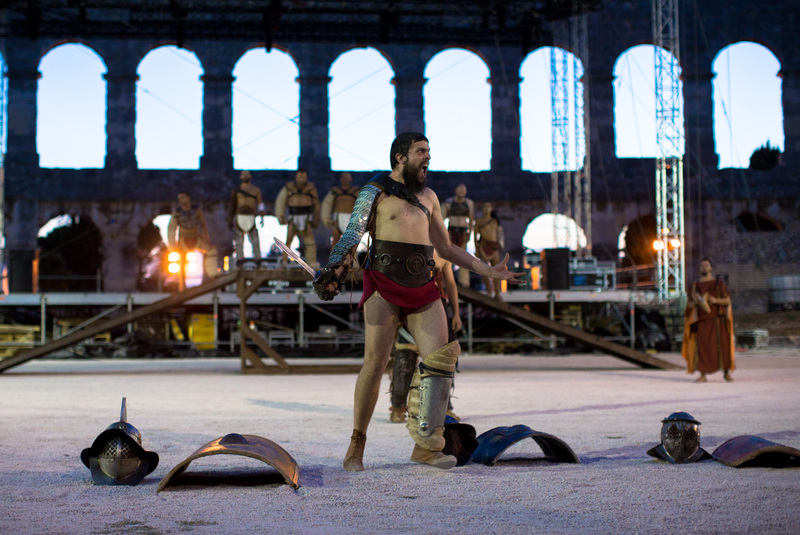 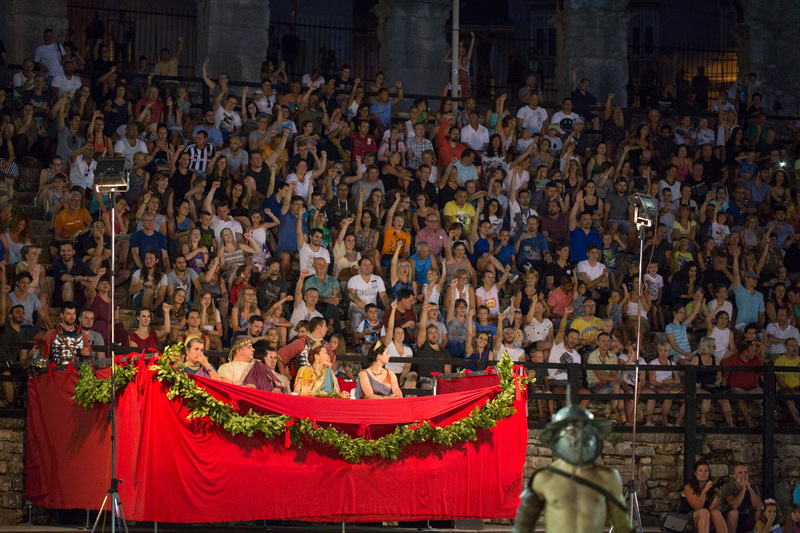 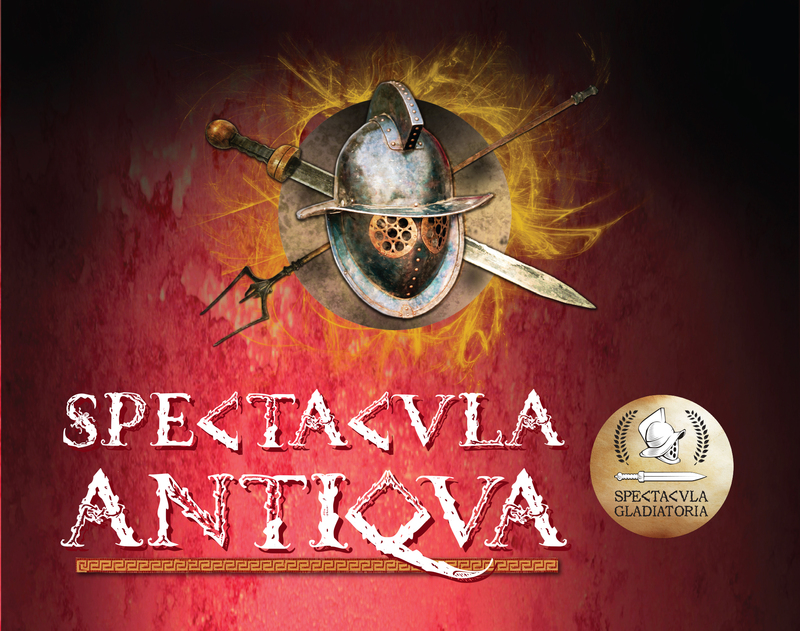 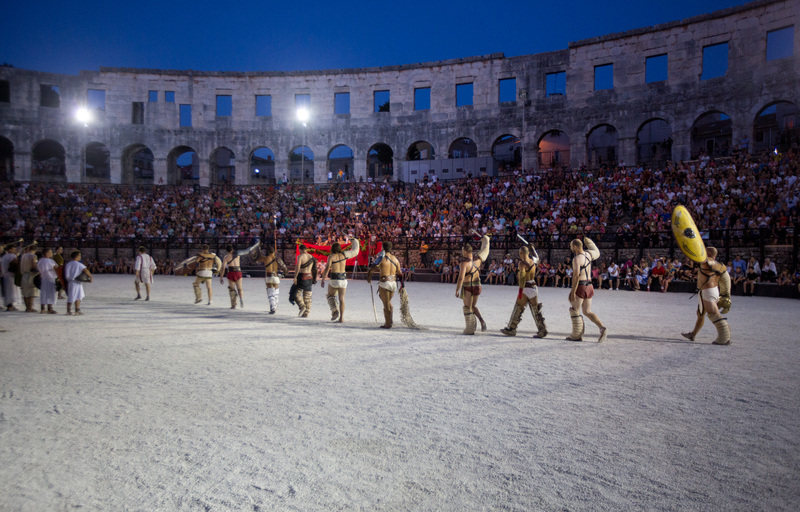 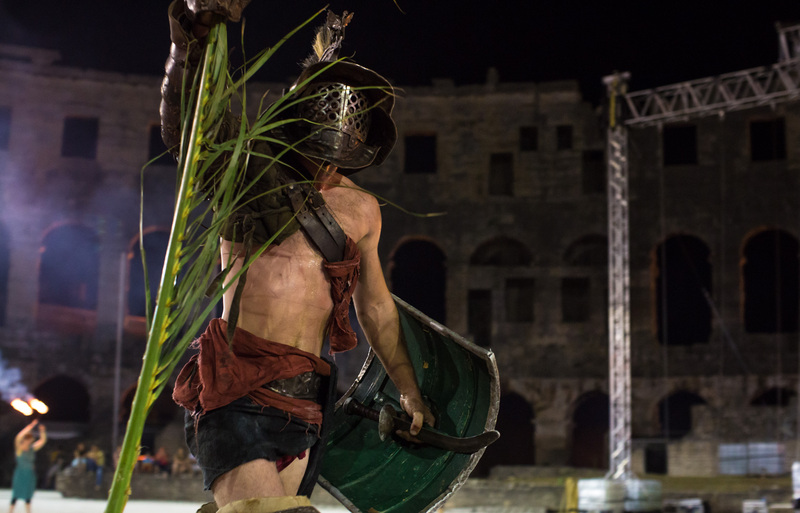 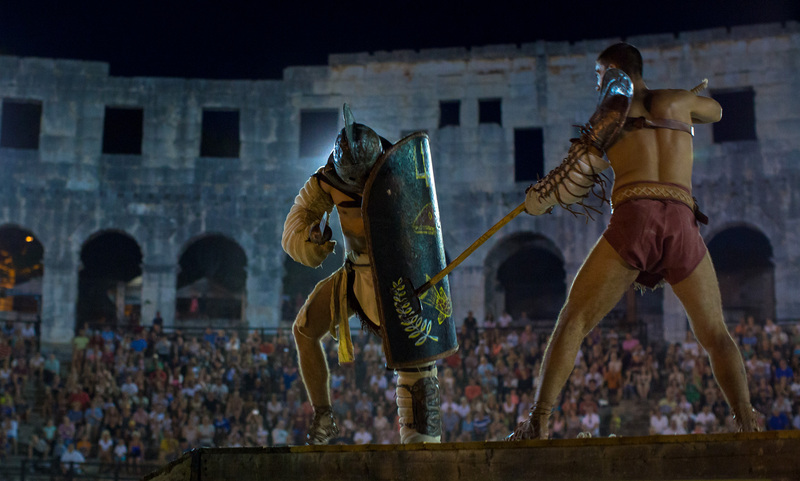 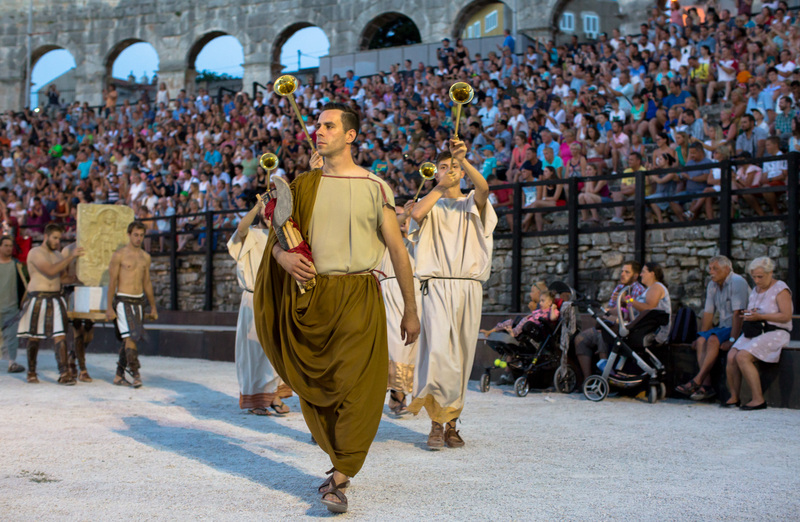 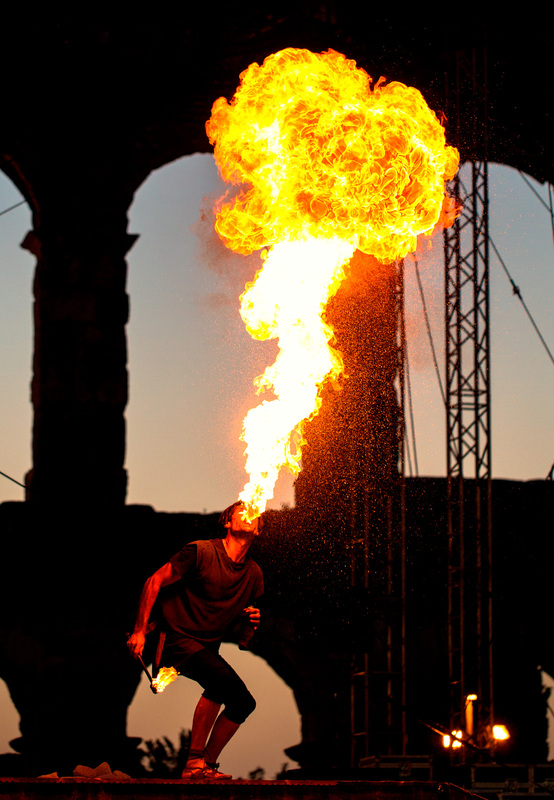 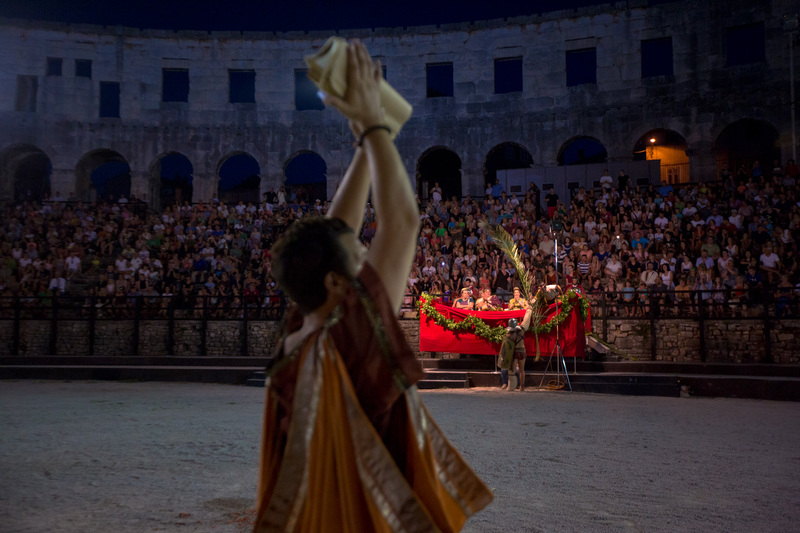 Spectacvla Antiqva is the name of the project that takes place in Pula’s amphitheater. 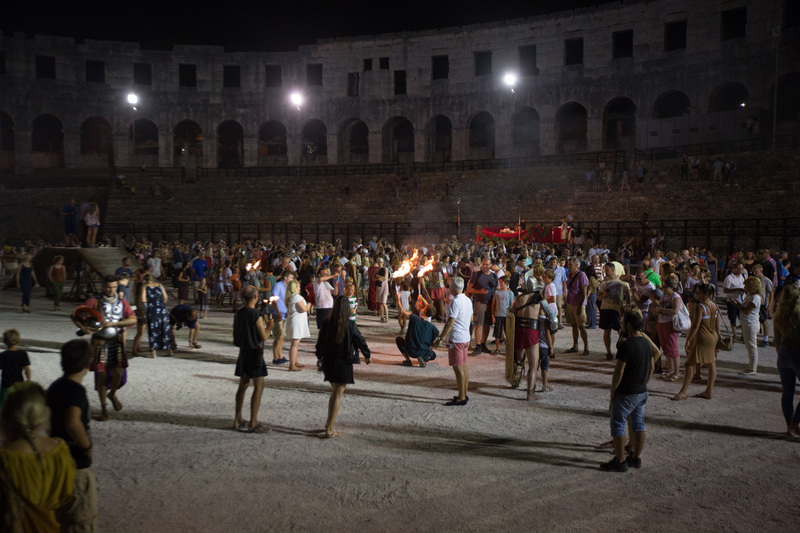 Once a week except during the Pula Film Festival. 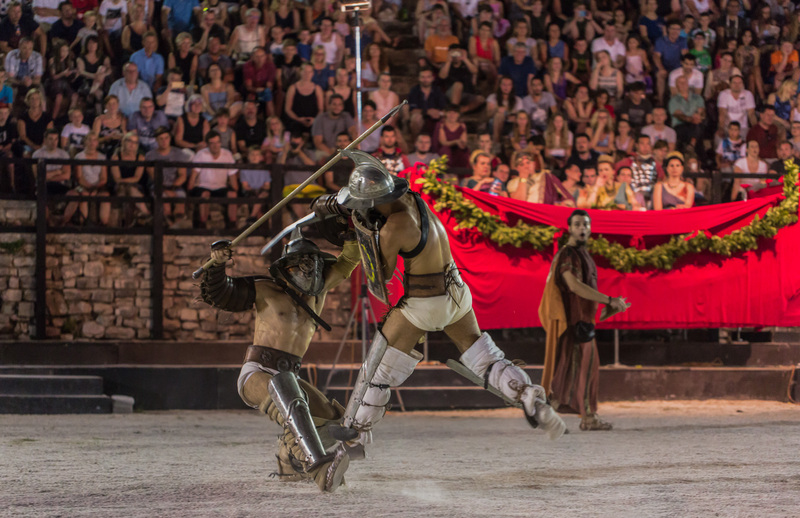 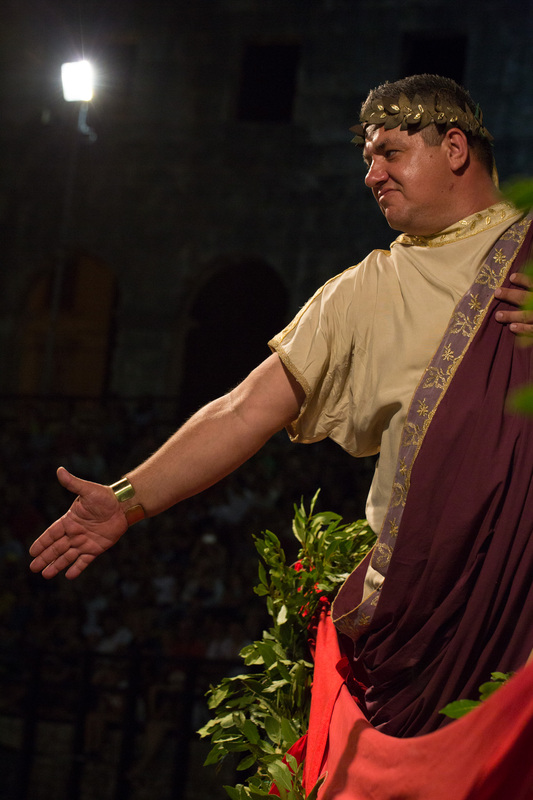 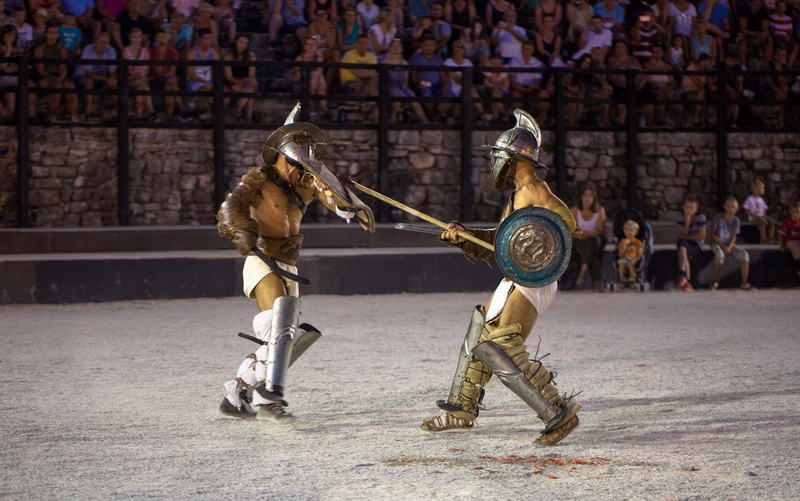 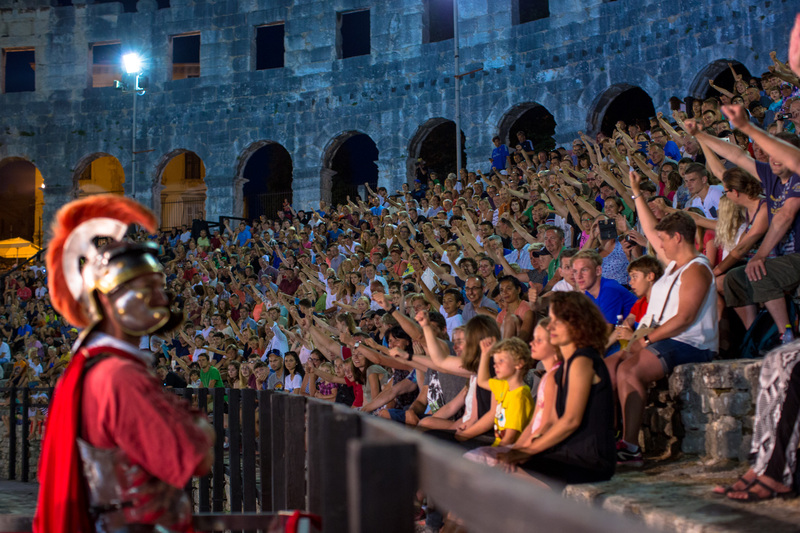 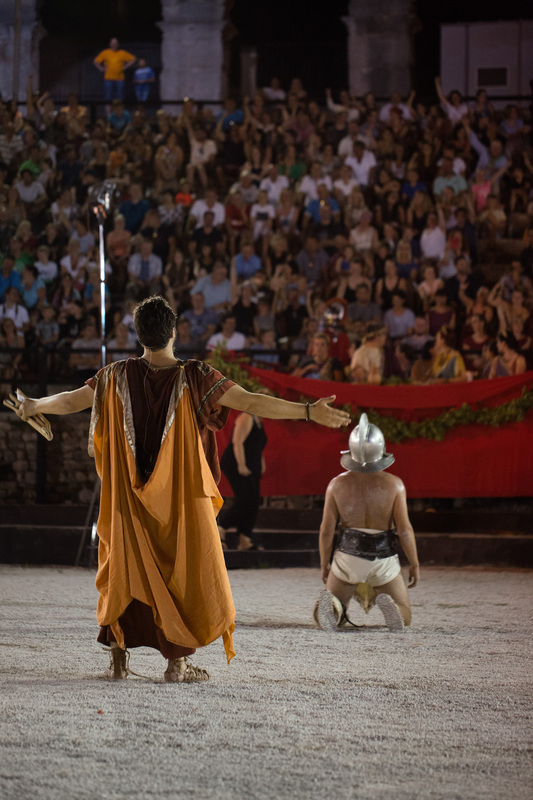 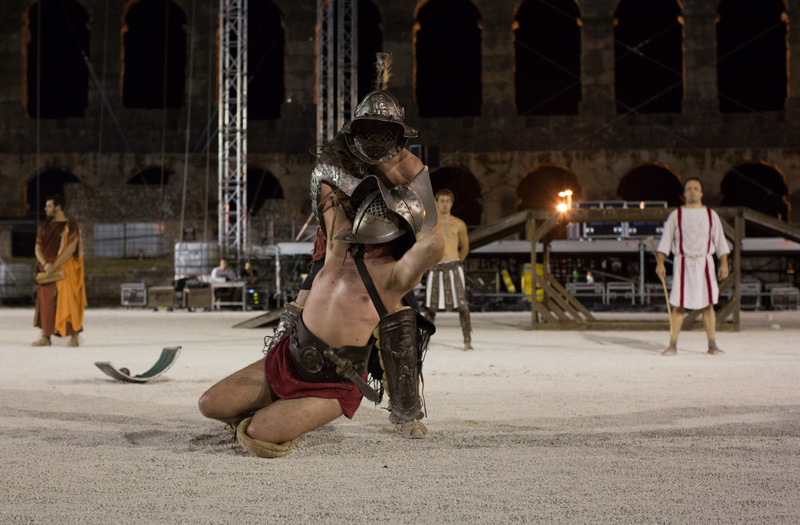 In the evening hours the Arena will be the site of gladiator fights, workshops, visitors will be able to see ancient Roman clothing and hairstyles with a narrator who will explain everything to visitors. 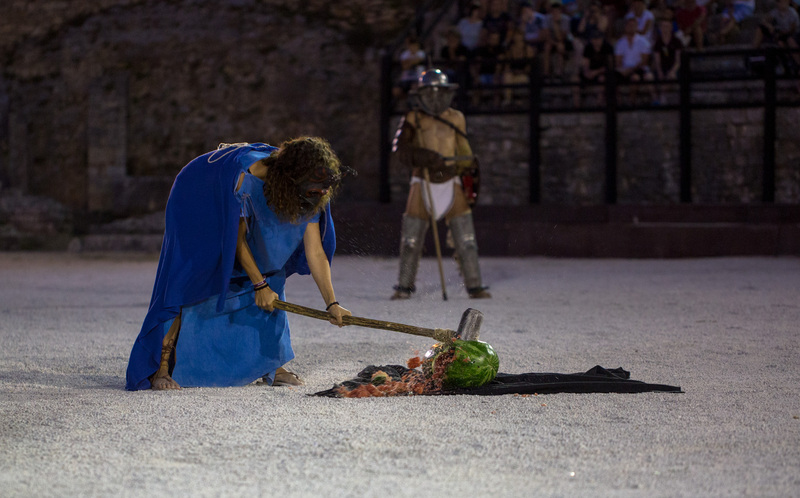 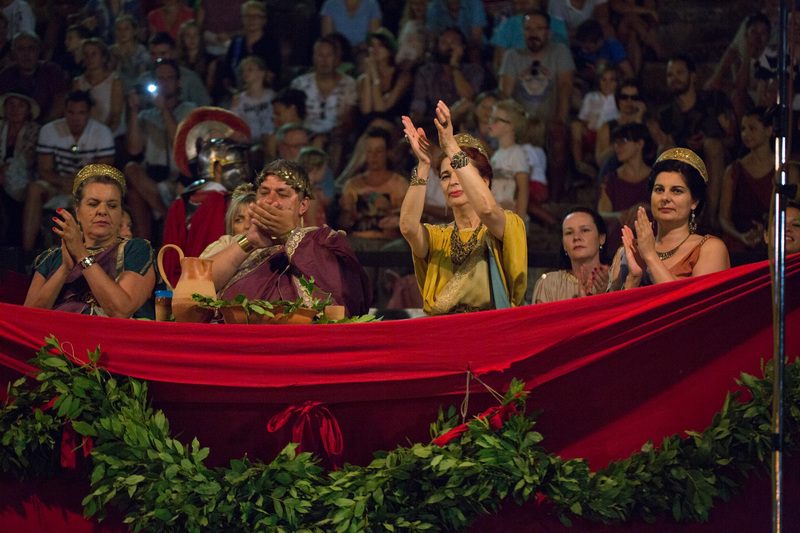 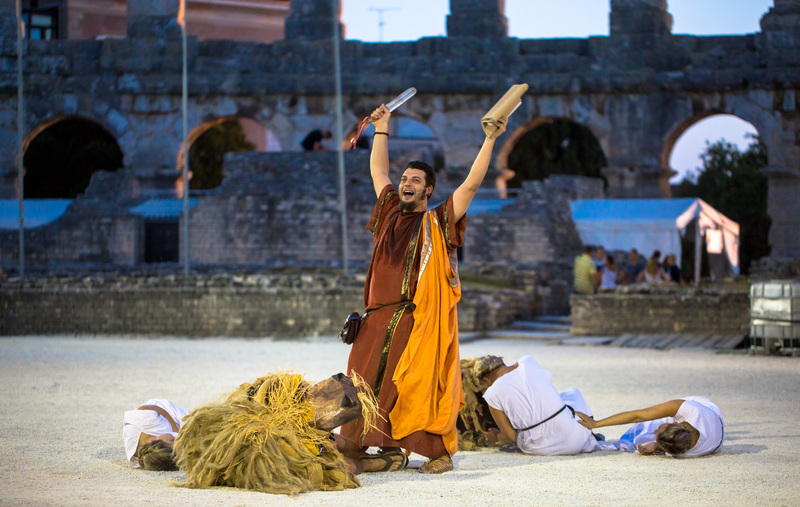 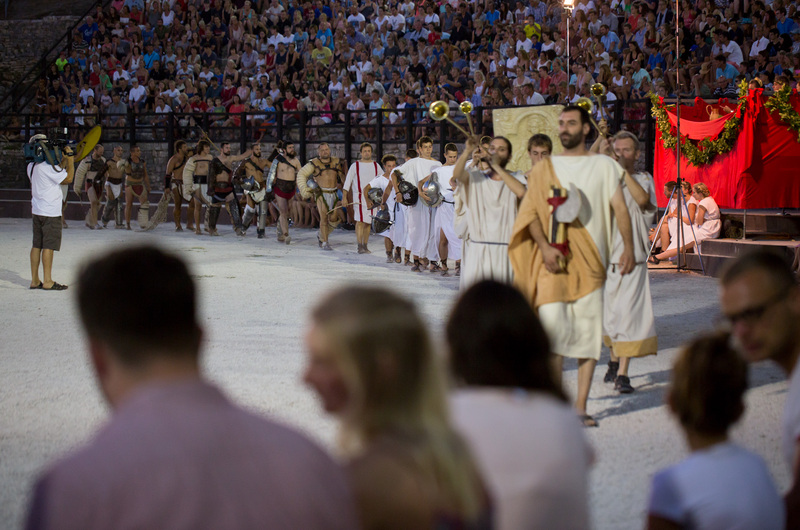 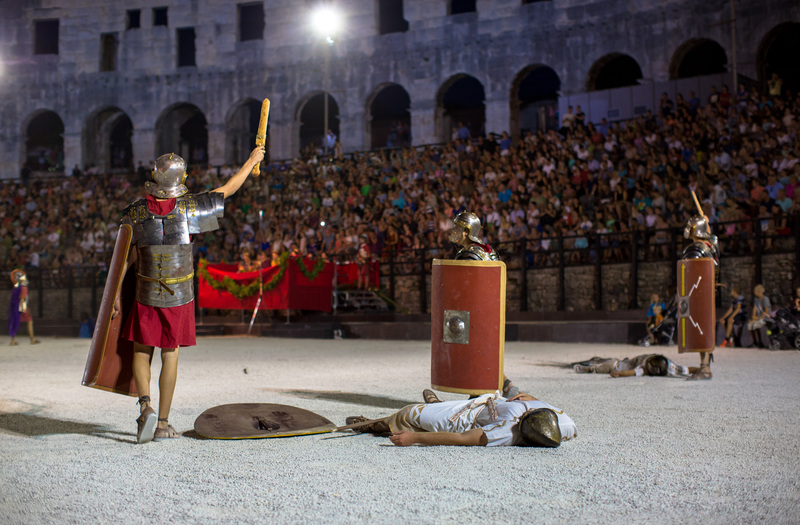 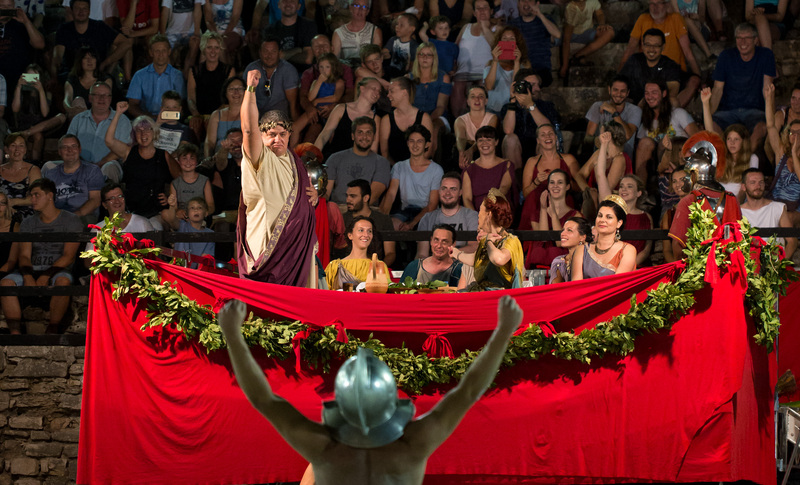 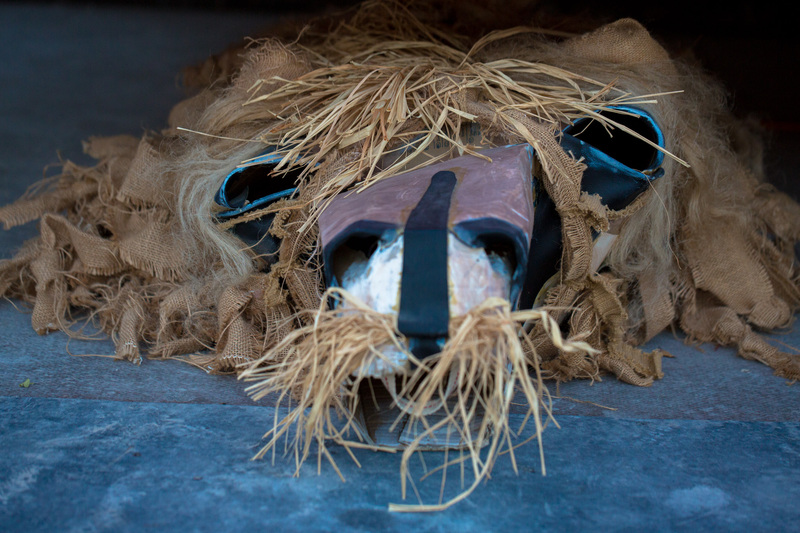 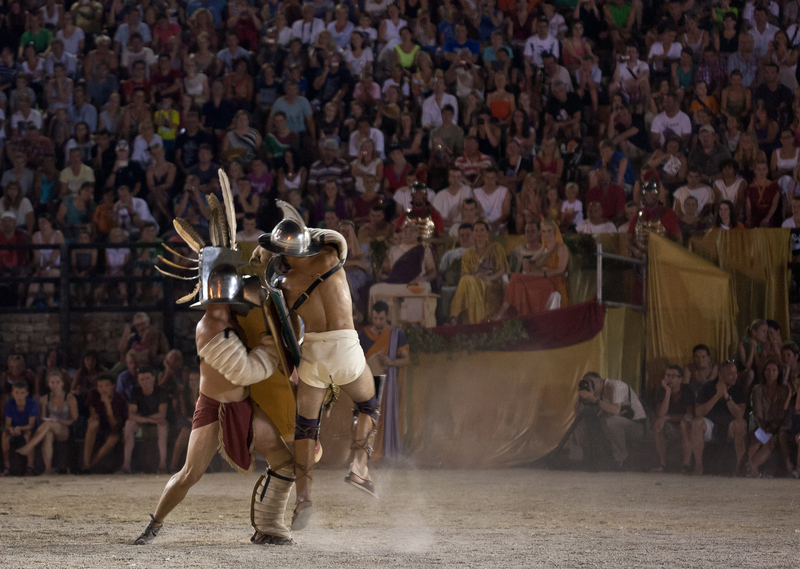 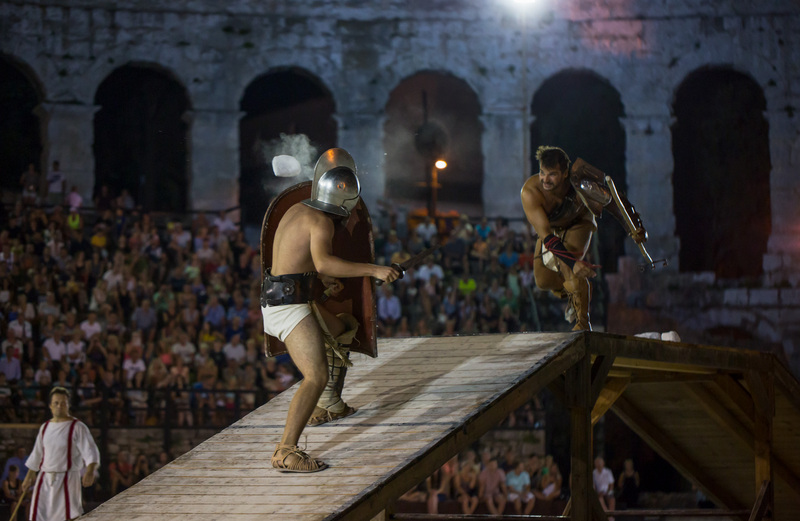 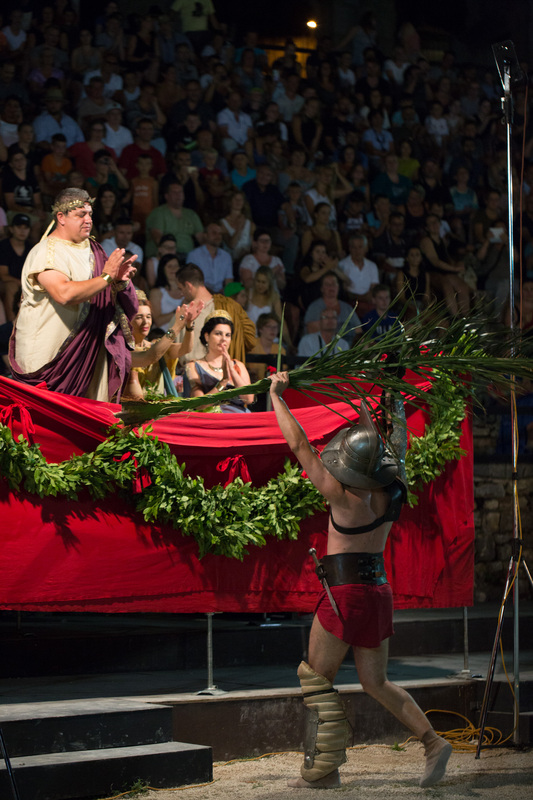 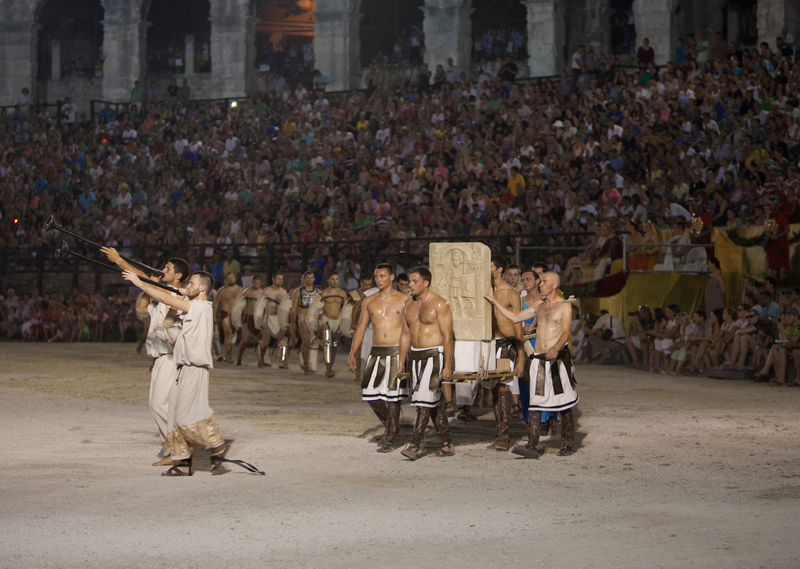 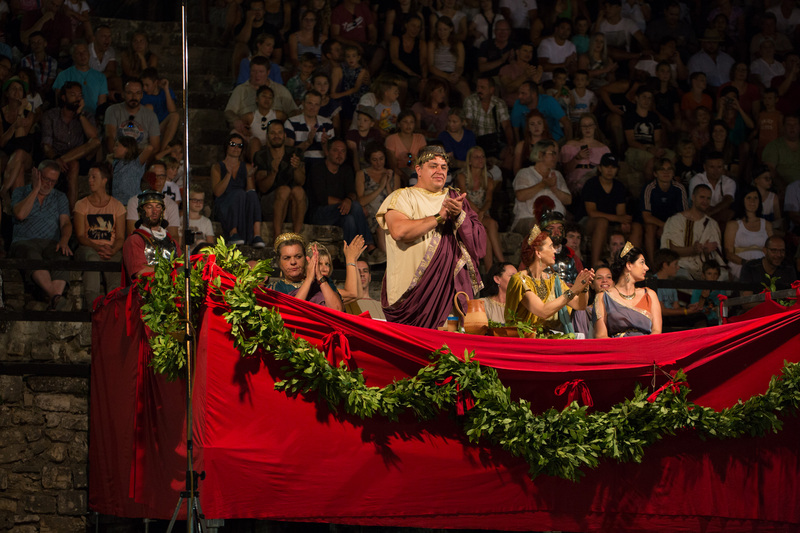 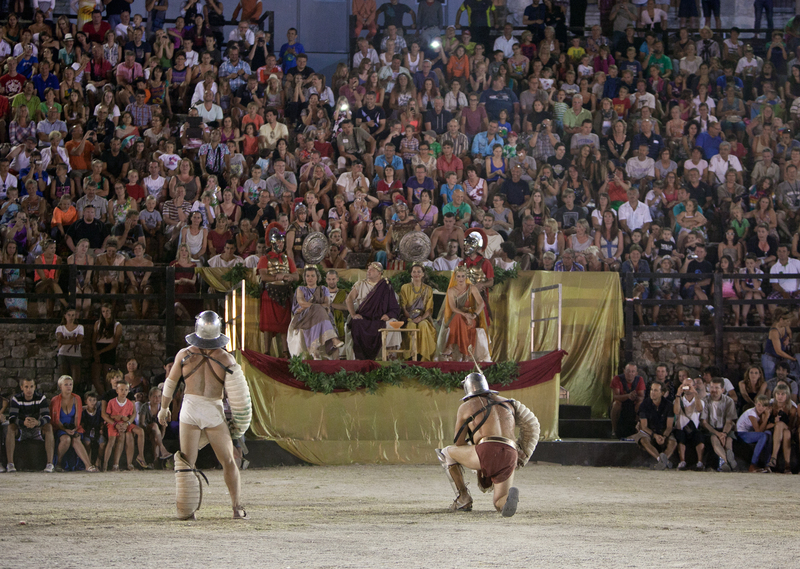 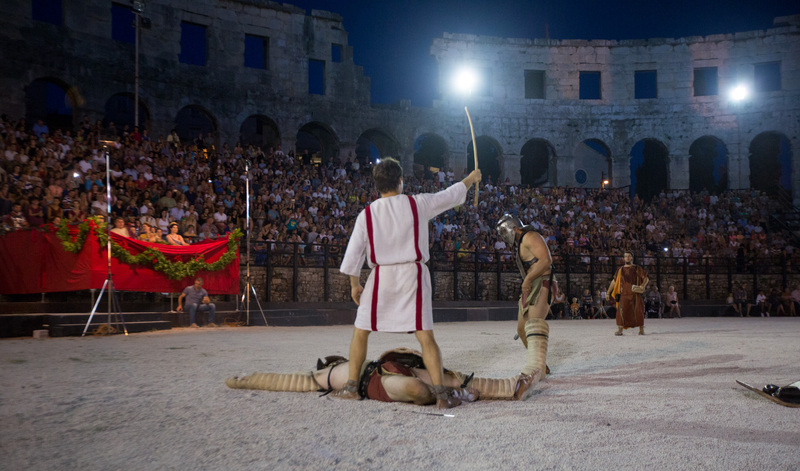 From June to September, in addition to presenting the tradition and heritage, Roman history and civilization will also come alive in the Arena. 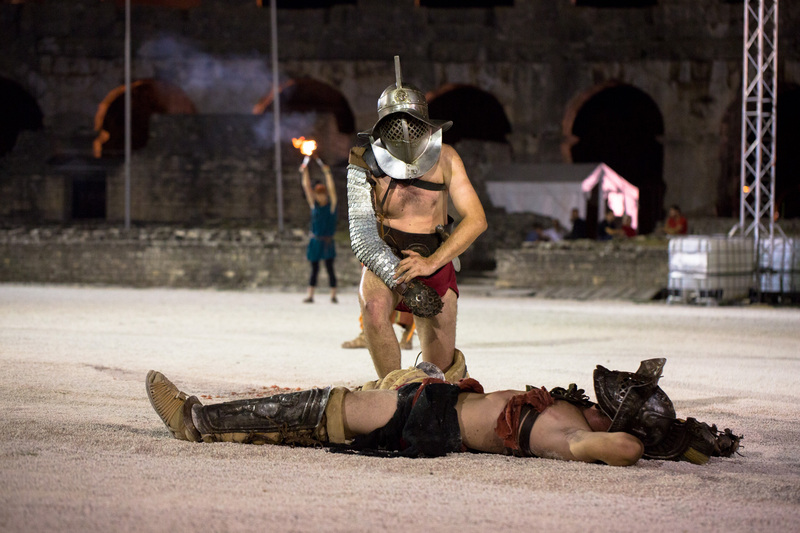 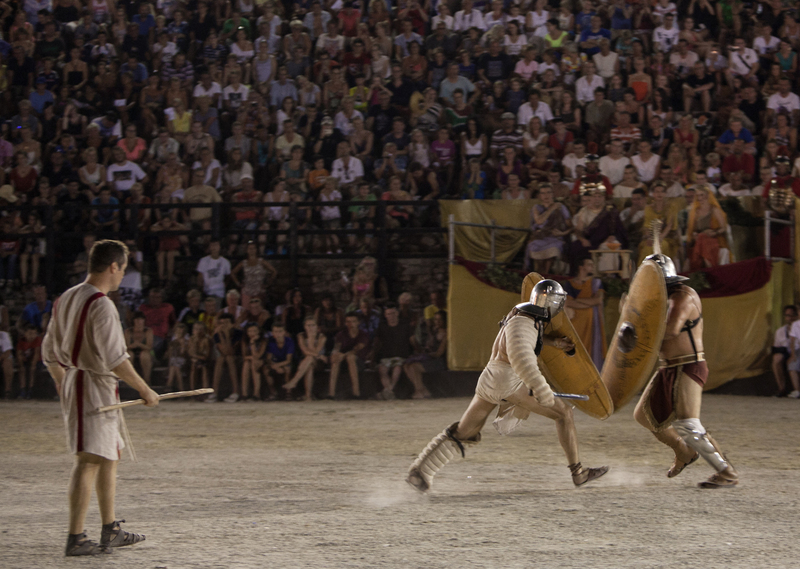 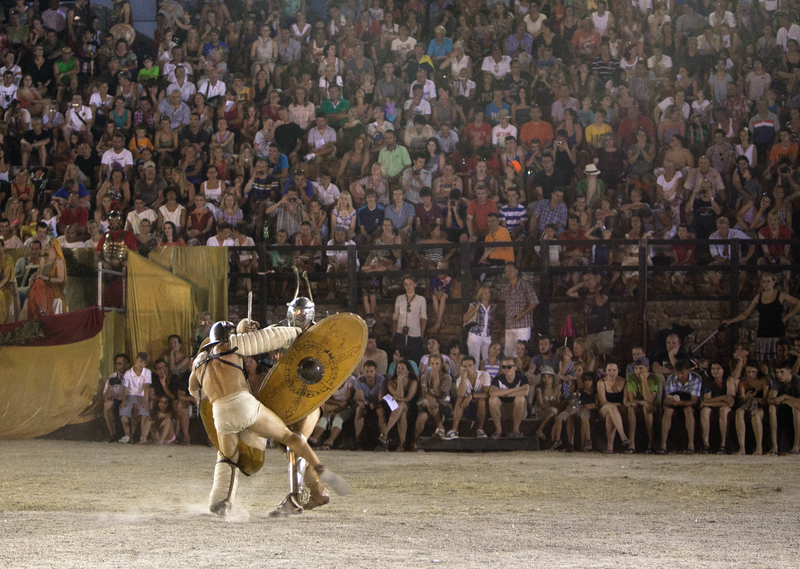 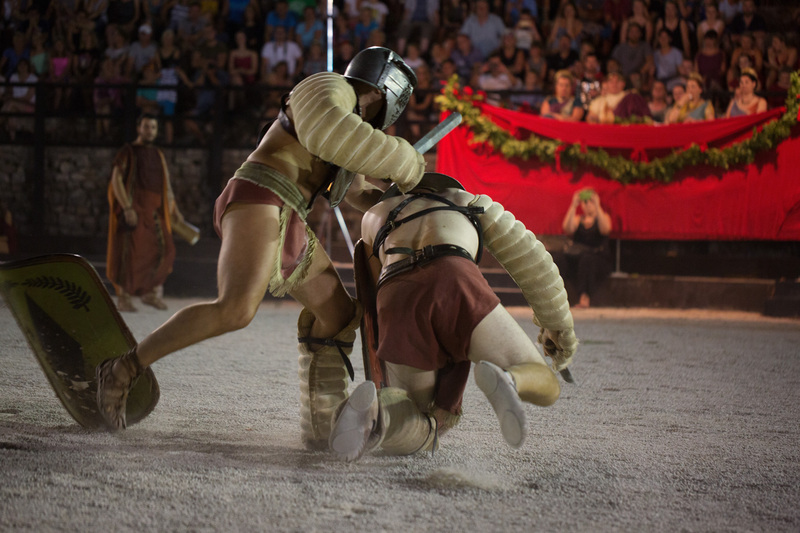 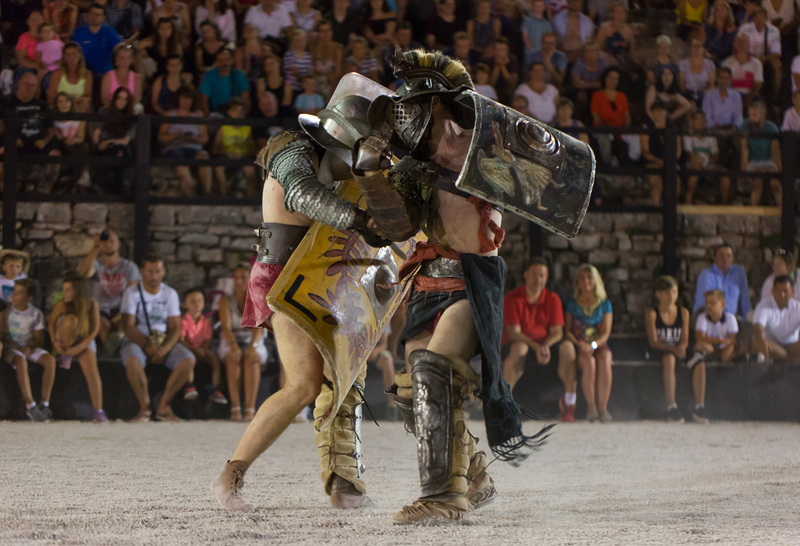 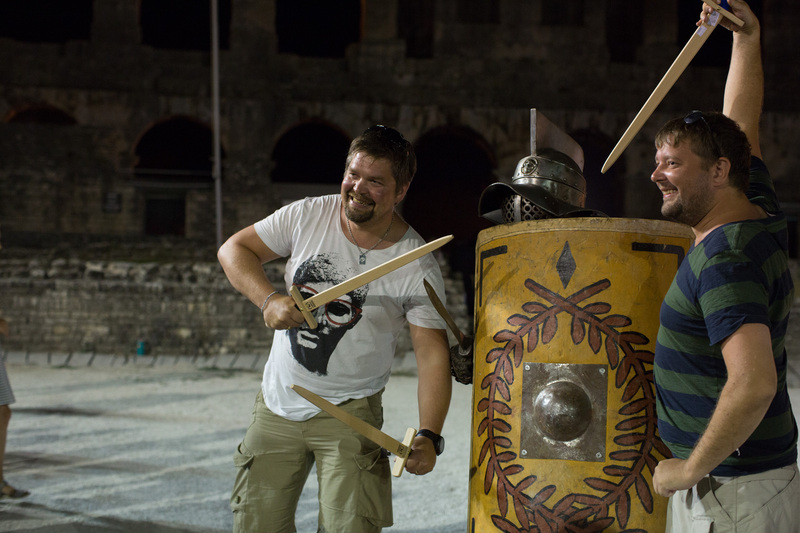 All those interested can enjoy real gladiator fights with real weapons. 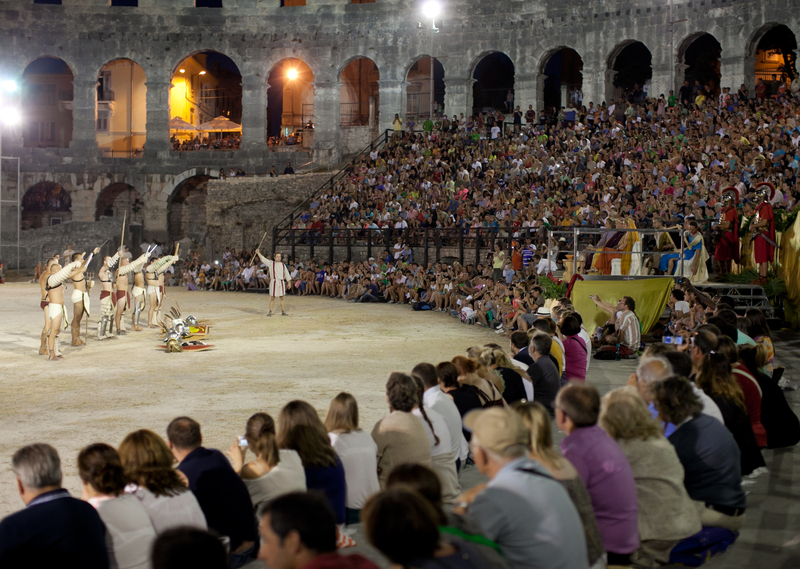 Visitors to the Arena will be able to buy original souvenirs. 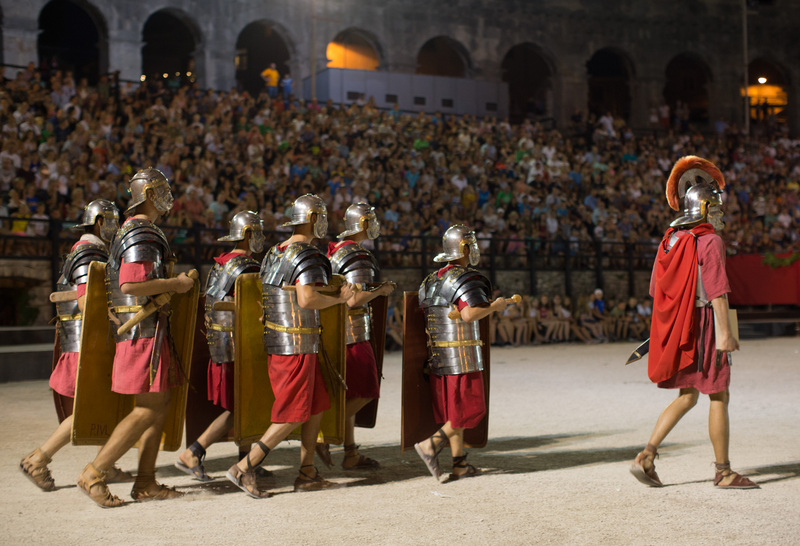 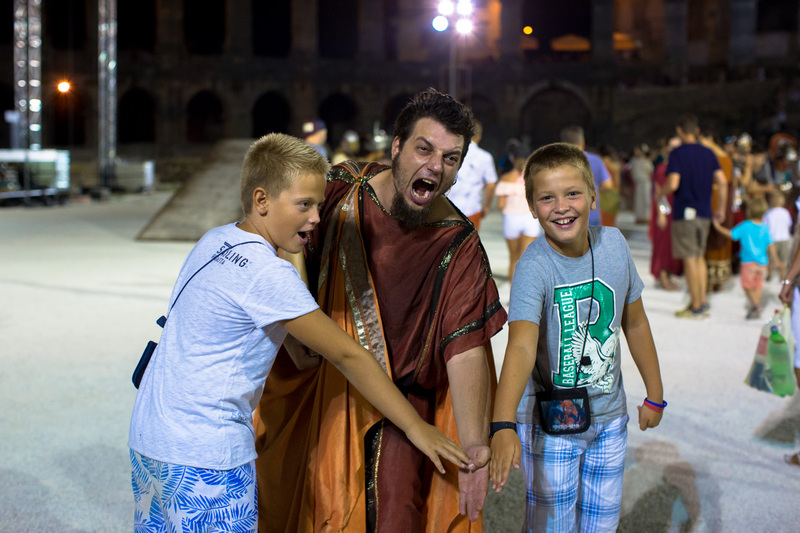 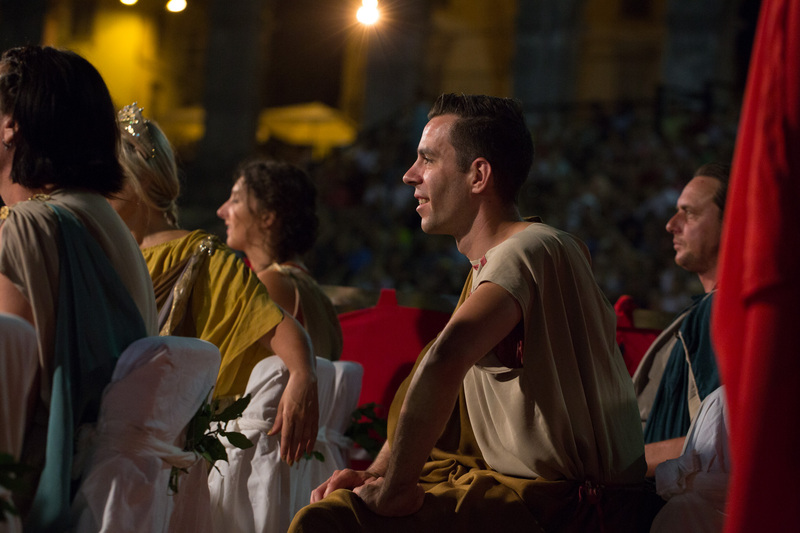 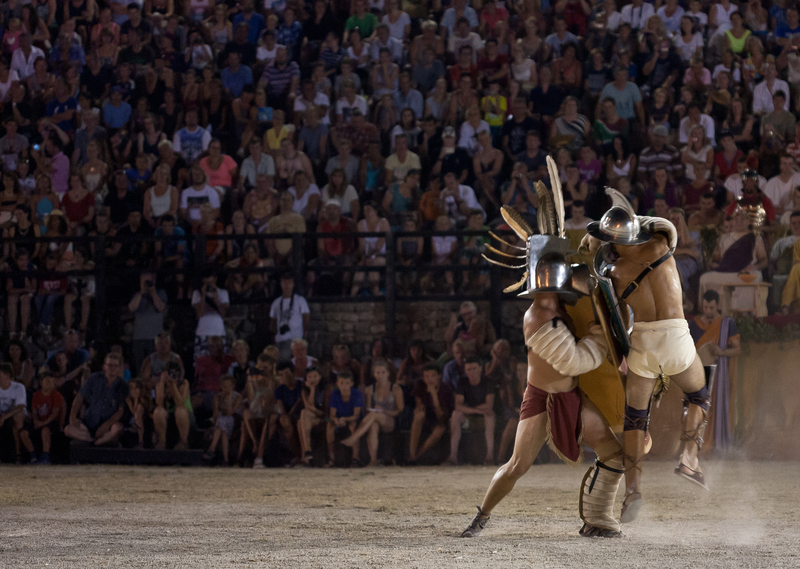 If you want to immerse in Roman history, be sure to come to the Arena and enjoy it all. 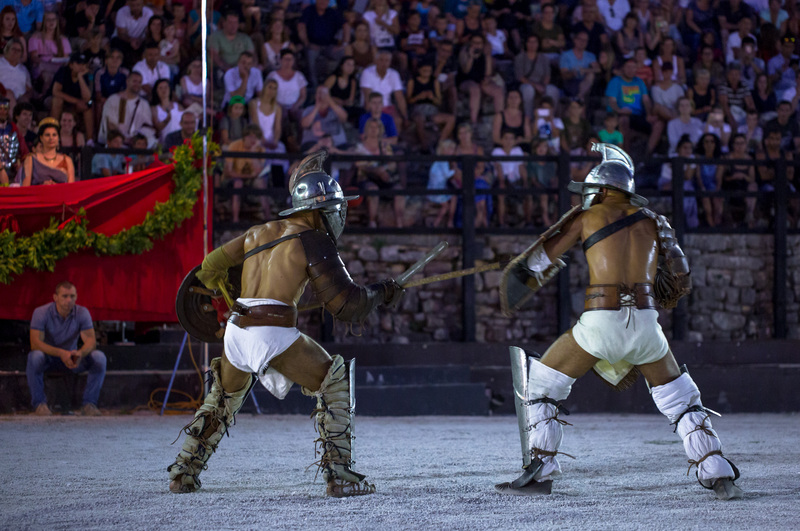 The ticket is 80 kunas for adults and 40 kunas for children.